Want to learn how to record better drums? Want to learn how to tune your drums for better recordings? Do you have a limited budget or limited amount of channels? If you answered YES to ANY of these questions then the Drum Recording Ninja Workshop is for you! There are only 8 seats open and this WILL sell out, so you’ll need to REGISTER NOW if you want to reserve a seat for just $69 $49! 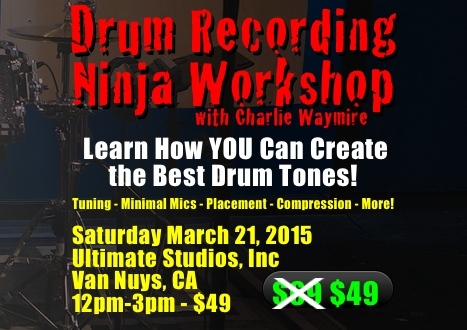 The Drum Recording Ninja Workshop is for engineers, drummers, recording enthusiasts of all levels, and of course, ninjas. 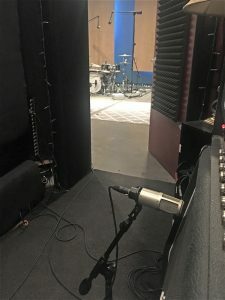 Our goal is to teach you how to get the BEST sounding drums and the BEST tones for your recordings no matter what your situation is. 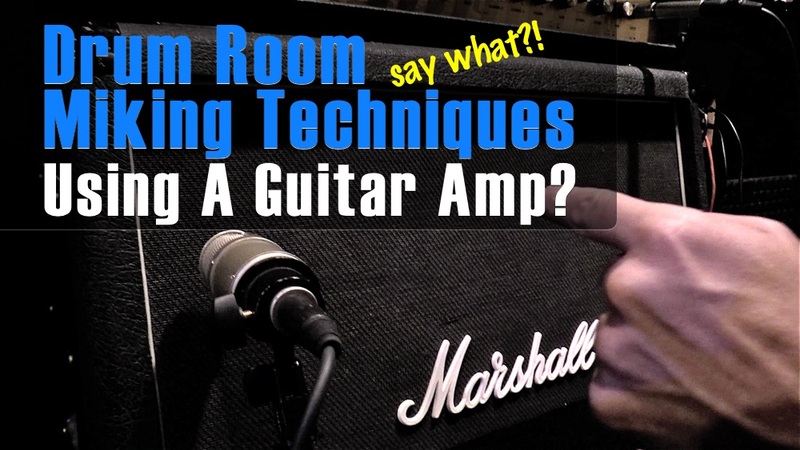 We’ll be covering tuning and easy-to-use techniques for tuning, microphone types and how they can be used to make better recordings, and minimal miking setups so you can get GREAT tones with just a few microphones. “Drums are my passion. 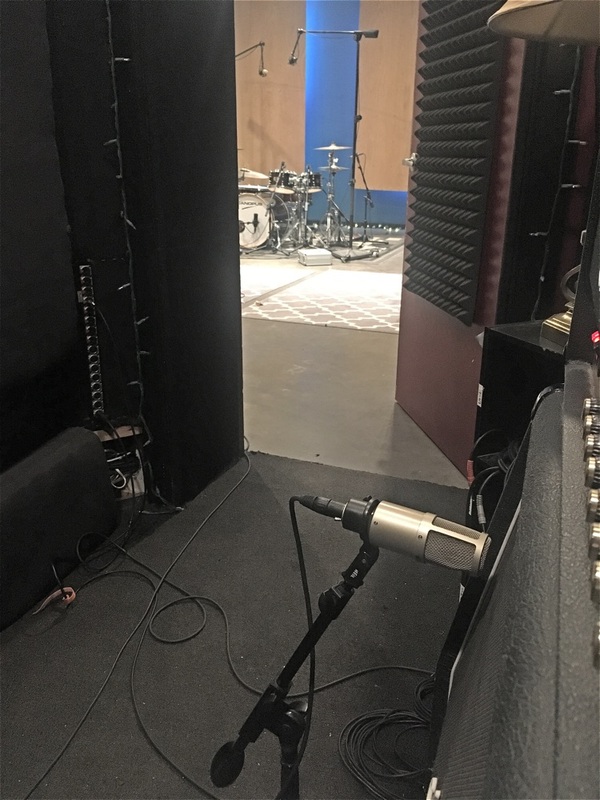 I want to share that passion with you and help you understand drum recording better by showing you some of my techniques.” Producer/Engineer Charlie Waymire. 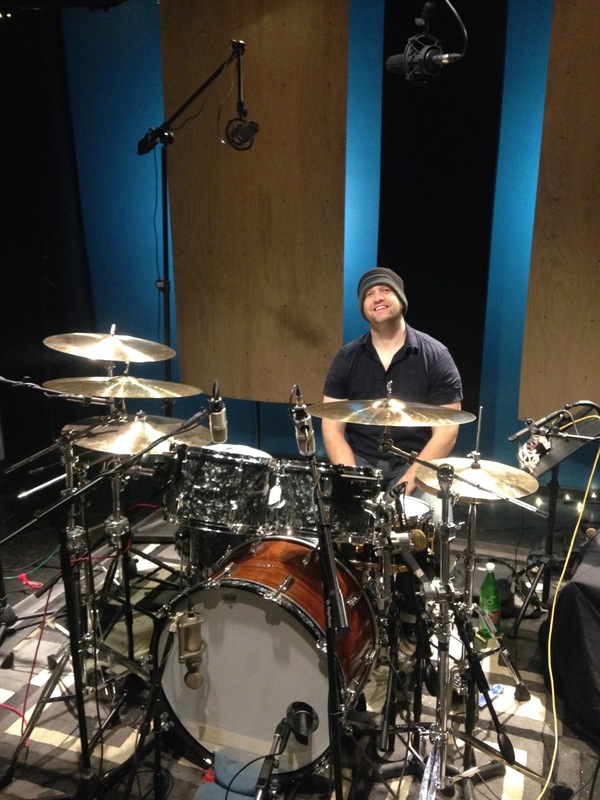 Besides being an accomplished drummer himself, engineer Charlie Waymire is extremely adept at working with drummers to get the best possible performance and in turn, the best possible drum recordings. This is one of the many reasons that Ultimate Studios, Inc has become a home for drummers to record their drum tracks. Charlie is the tone master when it comes to drums! Chad Smith (Red Hot Chili Peppers), Ray Luzier (Korn), Josh Freese (Perfect Circle), Benny Rogers II (Mariah Carey), J.R. Robinson (Michael Jackson), Glen Sobel (Alice Cooper), Mike Avenaim (Scott Weiland), Jeff Bowders (Paul Gilbert), Greg Garman (Selena Gomez), and Nick Adams (David Cook), among several others. 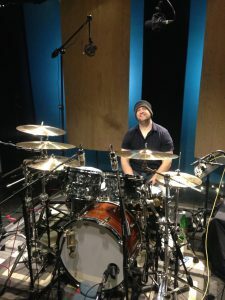 He is also the host and co-creator of FullOnDrums.com; a show dedicated to the art of recording drums. When it comes to tuning, there are few people on the planet that know more about the workings of drums than drummer & tuning guru Kurt Berger. 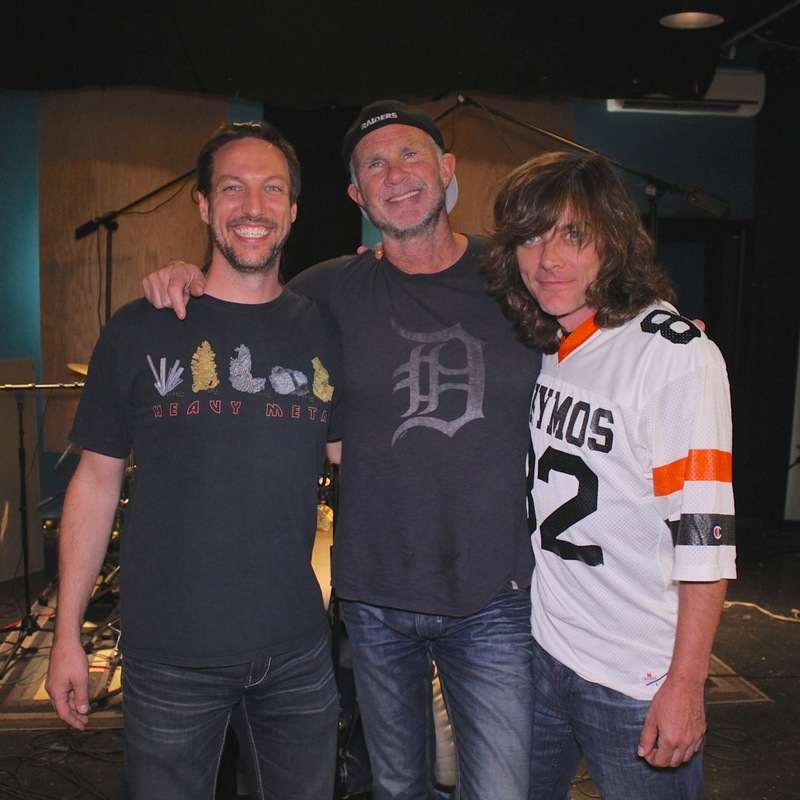 He has taught hundreds of drummers how to tune and has worked with some of the biggest drummers in the biz. He is the resident tuning guru for FullOnDrums.com and works closely with Charlie at Ultimate Studios, Inc to build fantastic sounding drum kits. He keeps the clients that record at Ultimate Studios Inc. extremely happy with his bar-none tuning tricks!